Did you know that you’ve been toasting bread wrong all this time? Well, maybe not wrong, but vastly inferior to how Balmuda’s new humidifying toaster oven can do it. The intelligent appliance ensures your toast comes out not only perfectly browned on both sides, but also still soft and fluffy on the inside. 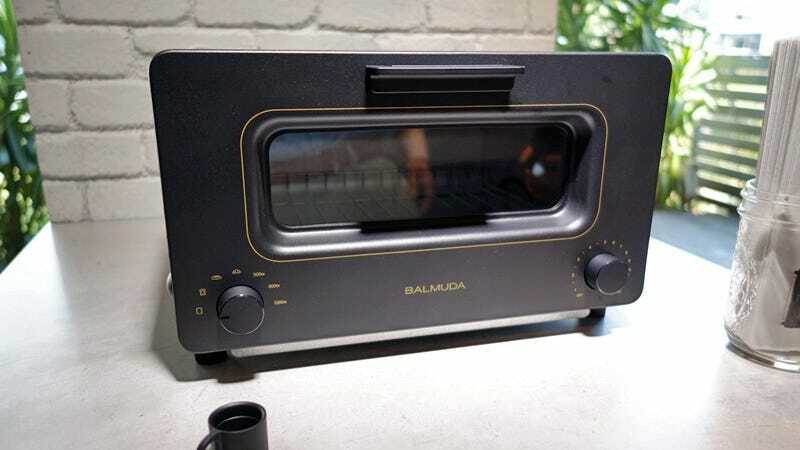 But don’t think that Balmuda has just tacked a water boiler onto a toaster oven and hoped for the best. Not at all. This contraption sounds like the ultimate toasting machine that could revolutionize breakfast as we all know it. Most toasters and toaster ovens just apply a steady constant heat to your bread, but the new smart appliance strategically controls when the heating elements turn on and off, while producing a steady stream of steam. In toast mode, the bread slice first bakes at 60 degrees Celsius to help soften the outside and enhance its flavor. The toaster oven then heats up to 160 degrees Celsius to start browning both sides of the slice and warm it all the way through. And finally, the temperature then jumps to 220 degrees Celsius to create that perfect toasted golden brown finish. But thanks to the constant level of humidity inside the toaster, the resulting slice of toast isn’t completely dried out. Does it sound like overkill? Yes. Do the results look delicious? Absolutely. Are you willing to trade the $20 toaster you’ve had since college for this $180 alternative? That depends on how much you love toast. They do say that breakfast is the most important meal of the day, so should you really be spreading marmalade on a burnt, dried-out hunk of bread?